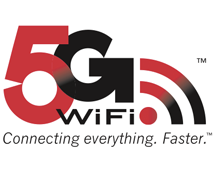 If you find that wireless is painfully slow for transferring files then you need 5G Wifi. This month we explore the latest wireless technology (without all of the jargon) and we also explain how to remove the cable clutter from your desk. Plus, as always, we have exclusive deals from popular IT brands, thanks to our deal partner PowerBuy. Are you finding that transferring files is too slow via wireless? 5G WiFi could be the answer! This new technology lets you access your network files via wireless at the same speed as if you were connected via cable! Do you need a simple way to store and share files? Is your data protected in case something goes wrong? 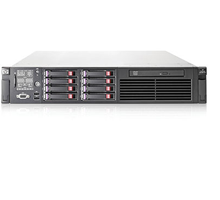 Do you need storage for your virtualised servers? No matter your company size HP can help you store, share and protect your data. 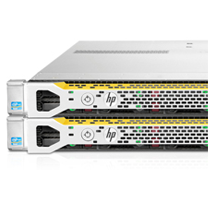 HP storage products are easy to use, great value for money and they are backed by HP’s world-class support team. Now is the time to get serious about storage. This great product offers a complete and tidy solution for your work environment, perfect for activity based working. 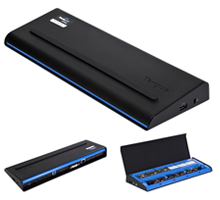 Connect your peripherals including up to two monitors with one single USB 3.0 cable to your laptop. These normally sell for $279.00 RRP, however we have access to special pricing and can provide you with a quote specific to the quantity you require. 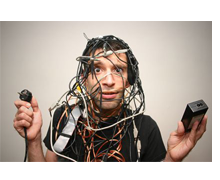 Does your desk look like a birds nest of cables? Is it a hassle to disconnect then reconnect your laptop every time you have a meeting? A docking station is exactly what you need to keep your desk tidy. It connects all of your essential devices via one cable to your laptop. * Offers expire 31st March 2013 or while stocks last. Terms and Conditions apply and please contact us for details. You are receiving this email because you previously subscribed to the MCG Computer Australia newsletter.